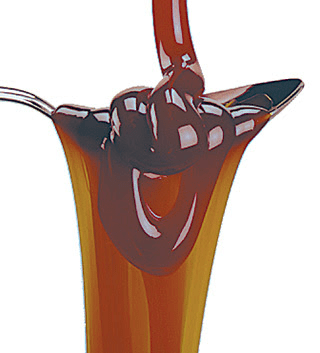 Buy 1 Get 1 Free Liquid Malt Extract – 6.6 lbs from $9.16! This entry was posted in Extract Brewing, Fermentables, Label Peelers, Malt Extract on November 20, 2018 by admin. This entry was posted in Amazon, Fermentables, Ingredients, Malt Extract on November 1, 2018 by admin. Bell’s General Store has all varieties of Muntons DME on sale. 1 and 3 lb sizes in light, extra light and wheat varieties are included in the sale. It’s marked down to just $2.50 for 1 lb packages and $6.50 for 3 lb packages – that figures to just $2.16 per lb. This is a… bargain! If you’re an extract brewer… you could, of course, use this as your primary fermentable. Beyond that, keep some DME on hand for yeast starters and gravity correction. This is a limited time sale, that applies to stock on hand. I have no idea how many of each of these are in stock, but my recommendation is to buy sooner rather than later. Update: all of the 3 lb offerings have sold out. A few 1 lb offerings are still available. This entry was posted in Bell's General Store, Extract Brewing, Fermentables, Malt Extract, Yeast Starters on November 1, 2018 by admin. This entry was posted in Adventures in Homebrewing, Extract Brewing, Fermentables, Ingredients, Malt Extract on October 26, 2018 by admin. For a limited time, William’s Brewing is discounting their entire lineup of liquid malt extract (when you buy 3 or more packs – mix and match) and Dry Yeast (when you buy 3 more more packs – mix and match) by 15%. You can mix and match in either category, but you must buy a total 3 or more packs of either to qualify for the discount in that category. Example – two packs of yeast and 1 pack of extract = no discount. 3 or more packs of yeast = discount. 3 or more packs of extract = discount. No coupon code is required, add to cart to see discounted price. Check William’s Brewing for up to the minute price and availability. This entry was posted in Extract Brewing, Fermentables, Fermentation, Ingredients, Malt Extract, William's Brewing, Yeast on October 1, 2018 by admin. This entry was posted in Adventures in Homebrewing, Extract Brewing, Fermentables, Ingredients, Malt Extract on September 12, 2018 by admin. This entry was posted in Amazon, Extract Brewing, Fermentables, Ingredients, Malt Extract on September 1, 2018 by admin. This entry was posted in Bell's General Store, Extract Brewing, Fermentables, Ingredients, Malt Extract on August 29, 2018 by admin.